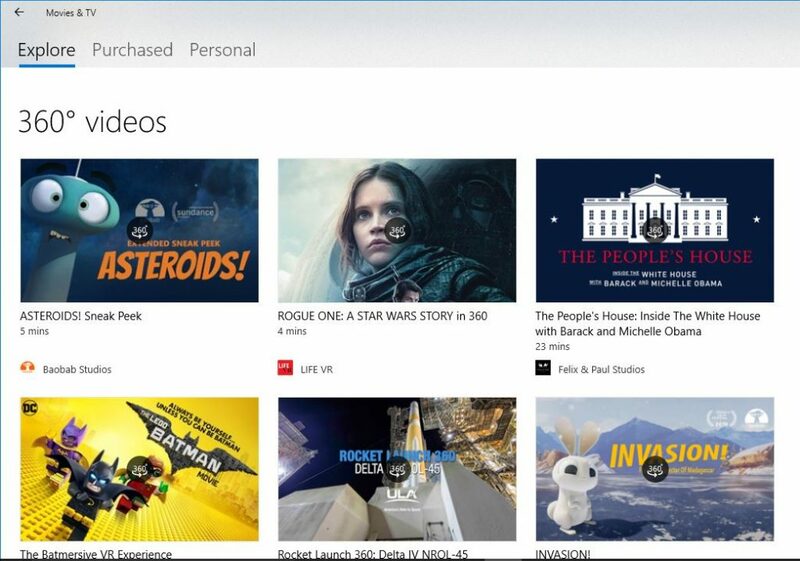 Did you know that you can add support for 360 video playback to Windows 10? All you have to do is install the Windows Creators Update. Windows Creators Update is a major update announced back in October when Microsoft revealed the Windows Holographic headset. It adds many new features to Windows 10 including 3D Paint (which adds basic 3D modeling features to the Paint app). One of the new features is playback of 360 videos within the Movies & TV app. From the Movies & TV app, you can view your folders, and it will recognize videos that have 360 metadata (you’ll see a 360 icon on the thumbnail). 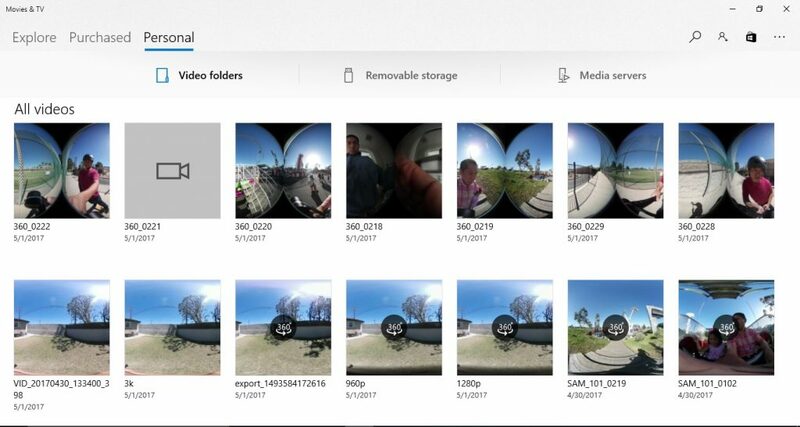 You can toggle the 360 view by clicking on a 360 button on the bottom right, to switch to equirectangular view. 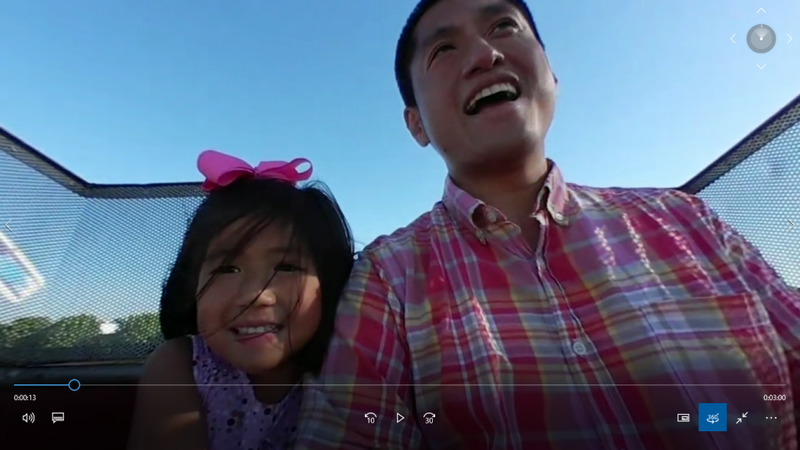 Even videos that don’t have the correct 360 metadata but which have a 2:1 aspect ratio will have a 360 button (even if the thumbnail doesn’t say 360) so that they can be viewed in 360. I’ve been able to play 360 videos up to 4K. The Movies & TV app doesn’t seem to be able to playback videos higher than 4K. 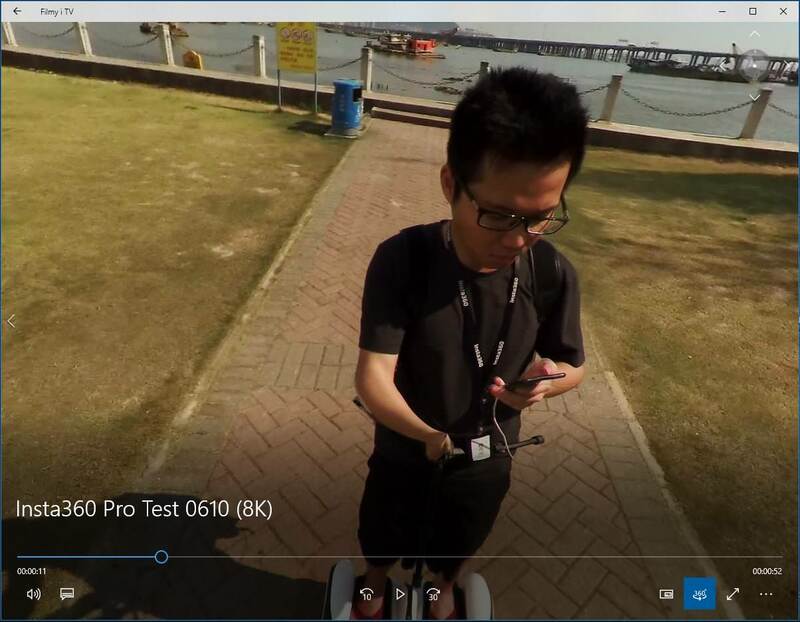 Playback of 3D 360 videos is a little inconsistent. For some videos, it will show the left eye view. 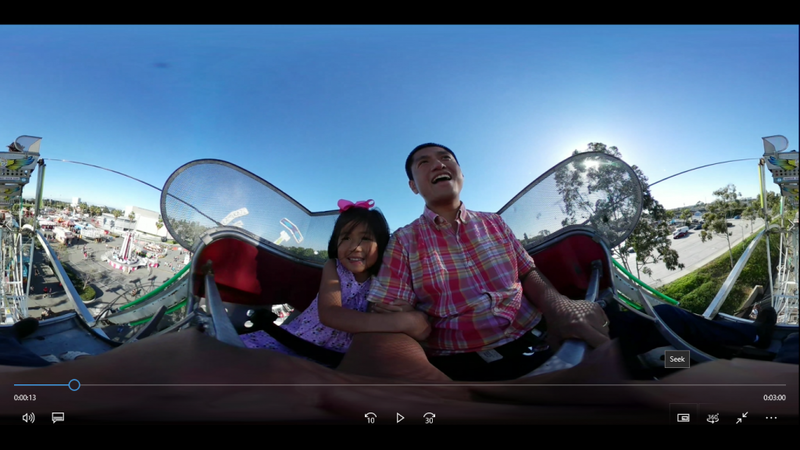 However, other 3D 360 videos will be incorrectly shown as a split top/bottom view in 360. In addition to playback of your 360 videos, the Movies & TV app has a tab for exploring 360 videos from studios such as Baobab, Life VR, and Felix & Paul. Again, all of these capabilities are included in the Windows Creator Update (here’s a link). Please note that installing the update can take a while. That’s great Kuba! I’ll try again. Update: i tried again and I can’t. Maybe so! May I know what specs do you have for your PC? For my test I used i5-4590, 8gb, gtx 1050 ti 4gb. My HP Z800 Workstation has: 2x Intel Xeon X5550, 24gb, GeForce GT 610 1gb. I think, that CPU do the job – more cores you have, higher film resolution you can handle. Stream simultaneously to Facebook, Youtube and other services with LiveScale.tv!